Banks and regulators are working together to cut the costs of cross-border payments in Europe. Since its inception, the European single currency has been fraught with economic and political problems, with some countries threatening to pull out of the euro and others blaming it for their economic woes. The single currency has also raised the expectations of consumers and policy makers alike. Increasingly, European Commission (EC) policy makers and major multinationals that do business across Europe are asking, how can you have a single currency without a single harmonized market in terms of taxation, legal requirements and payment systems and instruments, why are intra-EU payments still so expensive, and why does the cost of a domestic payment vary markedly from one EU country to the next? Historically, cross-border payments within the EU have been both expensive and slow. A 1999 study found that the cost of cross-border credit transfers varied markedly from €3.5 to €26 for smaller amounts and from €31 to €400 for larger sums. It also found that banks in some countries charged additional fees for extras such as balance-of-payments reporting, currency conversion and communication charges. The average time taken to complete a cross-border credit transfer was 4.8 working days, although the EC found this varied between countries, with more than 15% of transactions taking longer than a week. This is the kind of ammunition that prompts bureaucrats in Brussels to act, and act they did: In 2001 the European Parliament issued its regulation on cross-border payments in euro, which called for cross-border payments to be priced the same as domestic payments. As of 2003 the regulation applied to cross-border credit transfers and electronic payments up to €12,500 (the limit has since risen to €50,000). It was a controversial piece of legislation given that cross-border euro transfers comprised only 2% of total payment volumes within Europe. The point that legislators were trying to make, however, is that in a single market there should be no differentiation between domestic and cross-border payments. Following publication of the regulation on cross-border payments, a group of 42 banks formed the European Payments Council (EPC). 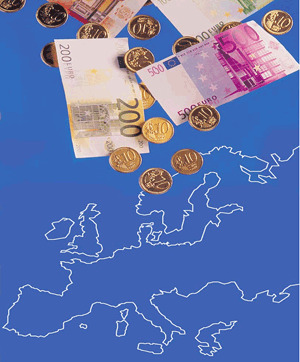 In 2002, in conjunction with the European Credit Sector Associations and the European Banking Association, the EPC released a white paper outlining a vision for a single euro payments area, or SEPA, by 2010, a payments market in which cross-border payments could be made as easily and inexpensively as domestic payments. The banks have already achieved some cost savings through the introduction of Bank Identifier Codes (BICs) and International Bank Account Numbers (IBAN), which enabled increased automation of cross-border payments. According to the EC, this made it easier and cheaper for customers to perform many types of payments, as well as kick-starting other initiatives for the creation of SEPA. In March this year, the EPC also finalized rulebooks for three new SEPA payment instruments: pan-European credit transfers, pan-European direct debits and a pan-European cards framework for the development of a general purpose card scheme for payments and withdrawals in euros that can be used “throughout the SEPA area.” Banks will offer these instruments from 2008 starting with the 12 eurozone countries. The European Associations of Corporate Treasurers (EACT) has voiced its disapproval at the lack of corporate involvement in the design of the rulebooks published by the EPC. “We were disappointed by the consultation process carried out by the EPC through the national banking associations,” EACT stated. “In some countries it failed to happen, and in all cases the time allowed was inadequate.” François Masquelier, honorary chairman and secretary of EACT and head of corporate finance and treasury at RTL Group in Luxembourg, acknowledges that corporates came quite late to the SEPA project. “We don’t have the resources of the banks, and therefore we are not as well-equipped. Yet if the corporates are not involved, it is a nonsense,” he says. EACT recommends increasing the involvement of stakeholders other than the banks and moving beyond “core and basic payment products” to ones that facilitate “end-to-end straight-through processing of the whole payment and reconciliation processes,” which includes not only the use of standards such as the IBAN but also “a unique standard” for automated payment initiation and reconciliation and messages for client-to-bank reporting and electronic account statements. 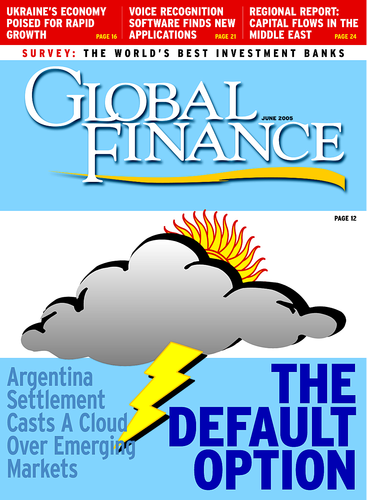 “The most important example of the new payment messages and services [corporates demand] will be the URI [Universal Remittance Identifier] and standard remittance advice, which will allow for automated reconciliation of accounts receivable,” states Gianfranco Tabasso, chairman of EACT’s payment harmonization committee. He points to the example of Telecom Italia, which he says employs 253 people full-time to manually reconcile business-to-business AR. Skinner says businesses want to see SEPA’s scope broadened to include other payment instruments such as e-payments and the enablement of electronic invoicing to ensure full end-to-end automation. Currently, not only payments but also e-invoicing programs in Europe are based on different national standards, which is costly for corporates to comply with. “Corporates think that e-invoicing should be facilitated, which means not only interbank standardization but also corporate-to-bank standardization covered in the new legal framework [for payments]. The banks are saying they have only devised instruments for interbank treatment of credit transfers, direct debits and cards,” he explains. Yet given some of the complexities around incorporating detailed supply-chain information within payments messages, Edward Glassman, managing director of product delivery channels at ABN AMRO, concedes that SEPA may not provide what many corporates dream of in terms of true end-to-end STP. “In the area of referencing information and invoice data, there is still a lot to harmonize,” he says. There are also qualitative gains to be made, says Masquelier, in terms of standardizing security around payments, enhanced risk management, better harmonization of payments and improved controls. “The more different types of payment formats you have, the more systems you have to interface with, and the more complicated it becomes,” he says. “SEPA will make a payment safer.” Daniel Cotti, head of Europe and global transaction products, ABN AMRO, says that SEPA rules on credit-transfers will offer greater security than the current system. In terms of direct debits, he says, SEPA means companies will not have to adapt to different local regulations or payment types. In the area of liquidity management, a number of companies have implemented solutions for pooling or sweeping of end-of-day balances to a central account. Yet, Lindow says, companies have still have to maintain individual accounts in each country. SEPA, he says, will eliminate some of the challenges around different payment cut-off times, fees and value dating, which is why companies still have needed to maintain individual accounts. “This, in theory, should allow corporates to centralize cash management to one bank account for payables and receivables in the eurozone,” he says. The biggest winners from SEPA, he adds, will be those companies with robust ERP systems that have centralized payments and receivables as well as payroll and travel expense administration in shared service centers and payment factories. While companies potentially have a lot to gain from SEPA, banks have a lot to lose as harmonization and standardization of payments within the EU erodes some of the revenues they earned from managing those inefficiencies. EACT maintains that the banks will be more than compensated for those losses by a reduction in costs through increased automation of payments and by increased revenues from corporates willing to pay for broader service levels.